Apple's iPad, iPhone and iPod has become the most popular devices on the market. People like to watch movies, listen to music, take photos with their iDevices in the daily life. In this section, you'll learn how to transfer files from one device to another easily for better sharing. And you can get a variety of great software and tools to enhance your Mac and iOS devices experience. Welcome to Coolmuster iOS Assistant user guide center. Here, you'll know full functions of this software and how to use it, FAQs and other tricks you may want to know. How do you transfer SMS from iPhone to computer? I’d like to share my experience on copying text messages from iPhone Xs Plus/Xs/X Plus/X/8 Plus/8/7 Plus/7/6S Plus/6S/6 Plus/6/5S/5C/5 to Mac or Windows computer easily with one mouse click. how to copy iPhone contacts to computer for backup? This is a problem. If you haven't had an ideal solution, we strongly recommend you to read this article to learn the detailed steps to transfer contacts from iPhone to computer easily. Fail to find an effective way to transfer music from iPhone to computer for backup? Don't worry. You can find an ideal solution in this article. In this article, you'll learn how to transfer photo from iPhone to computer without iTunes via two different ways. Just read and compare them, and choose one to copy files as you like. Purchased books from iBook store or other book app on iPhone and now want to backup these books on your computer? Here is a solution for you to transfer books from iPhone to computer easily. Voice memos usually record much important info, however, how to transfer voice memos from iPhone to Mac? Here this post will teach you the best 3 methods on how to download voice memos from iPhone to Mac computer step by step. How to Backup Messages on iPhone? Since text messages usually contains many vital info, it is very necessary to know how to backup messages on iPhone. This post offers the top 5 ways to tell you how to save text messages on iPhone with ease. Just check it now. When it comes to the question on how to import contacts from iPhone to Mac, you can't miss these top 4 methods here. This post will show you how to transfer contacts from iPhone to Mac (Macbook) with iCloud, iTunes, AirDrop, iPhone Contact Transfer. If you are wondering how to backup and restore iPhone, you won't miss this full guide of it. 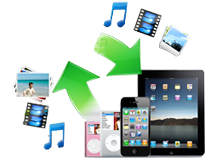 Here you will learn how to backup iPhone to iCloud & restore iPhone from iCloud backup, how to backup iPhone to iTunes & restore iPhone from iTunes backup, etc. If you want to transfer files from iPhone to PC or Mac, you can't miss these top 7 methods on iPhone file transfer with or without iTunes here.